PSPaudioware has announced the release of a new frequency shifter plug-in called PSP HertzRider. 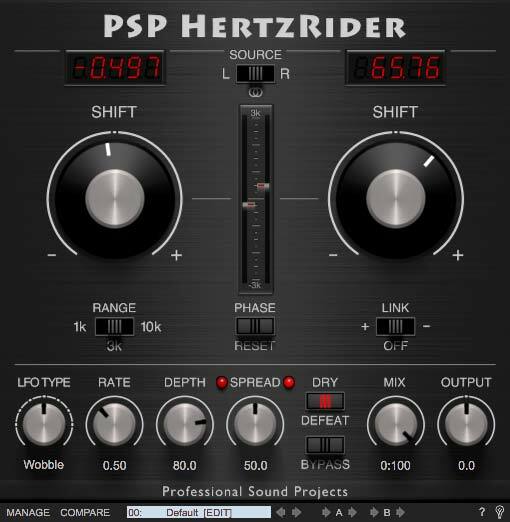 PSP say HertzRider can be an incredible tool for tuning inharmonic sounds like snares, and for harmonic sounds it becomes a creative and crazy destructive tool. In addition to a wide range of shifting settings the algorithm contains an LFO (low frequency oscillator) to provide interesting modulation options allowing you to further creatively experiment with this tool.